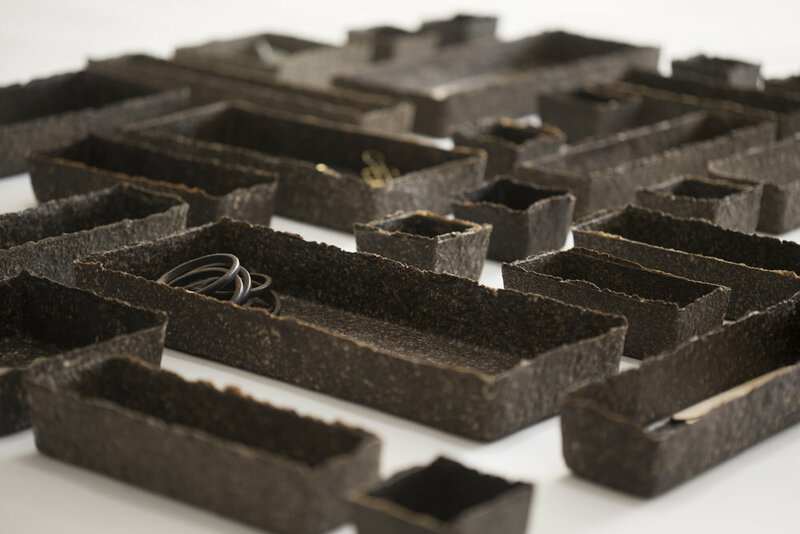 is a series of biodegradable containers made of coffee grounds and newspaper waste. Inspired by Paola’s childhood memories watching her father sip on Arabic coffee while reading the newspaper, this product draws our attention to the fact that we often generate waste before our day even begins. After coffee ground waste is collected from local coffee shops, it is mixed with newspaper pulp and a natural binding agent. The mixture is delicately molded by hand, and the final color and scent of each item are the result of the various types of coffee used. This project was brought under the initiative of Beirut Design Week 2016 in their "Sustainable Design Program".